Product #6759 | SKU PHX-206F BULK | 0.0 (no ratings yet) Thanks for your rating! 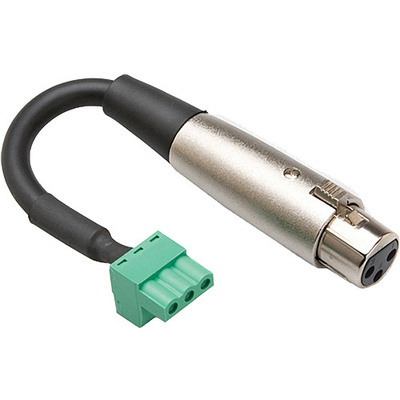 The Hosa PHX-206F Adapter will connect XLR pro audio equipment including microphones and cameras to consumer audio equipment that uses phoenix connectors. The cable is 6" and has OFC spiral shielding.